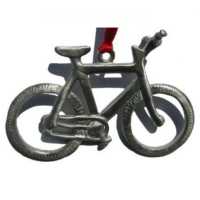 Perfect for those who love mountain biking, this ornament is will stand out on their tree!. . . Handcrafted of fine, lead-free pewter. Includes decorative ribbon for hanging. Ornament gift box is included. Made in USA. 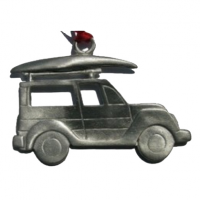 A perfect addition to our outdoor enthusiast's tree, this Ornament is a must-have for the holiday season!. . . Made of solid pewter. Includes decorative ribbon for hanging. Made in USA.